Very striking Gavin Doherty dress. Black velvet sleeves and bodice with a baby pink satin skirt. Suitable for championships. 18 months old and in immaculate condition. 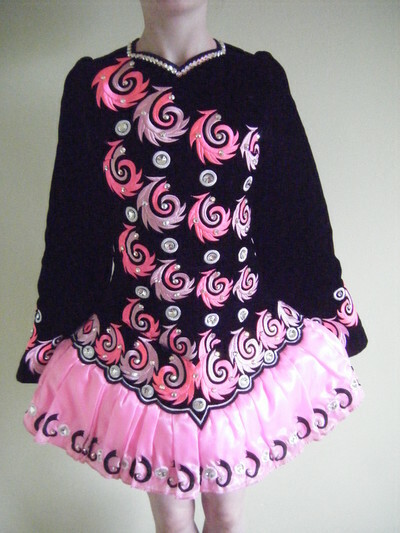 Many Swarovski crystals added to give the dress an eye catching sparkle and wonderful stage presence. Includes a black velvet headband which is stoned. White satin bloomers and underskirt. This dress is always stored carefully. 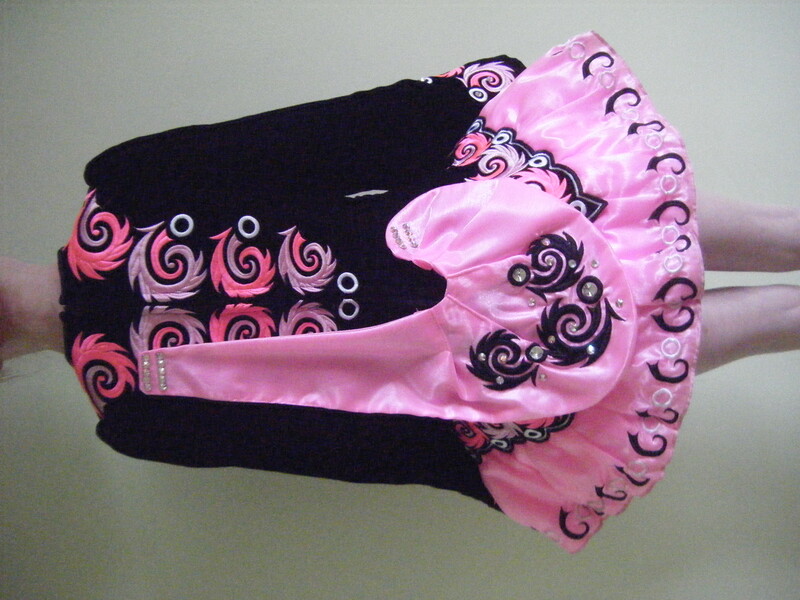 The sash is in the baby pink satin material and is stoned. 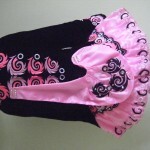 Very comfortable and light dress to dance in. One owner and the dress has not been altered (but there is room for alteration). 2″ let out and 2.5″ let down room available. Bodice length above is from shoulder to dropped waist seam.